Lecturer: Steven L. Goldman, Ph.D.
Why has science so dramatically altered how we live and how we think about ourselves? What is the greatest scientific idea of all time? According to Professor Steven L. Goldman, one is tempted to speak of scientific discoveries as the source of science's power to be a driver of social change—that scientists have been discovering new truths about nature, and that the change follows from that. But I argue that it is scientific ideas that are responsible for this change. Ideas are the source of science's power—not discoveries." And what is the greatest scientific idea of all? For Professor Goldman, that is surely the very idea of science, for as he puts it, "The idea of science itself is an idea that had to be invented." 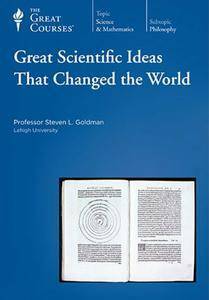 In Great Scientific Ideas That Changed the World, you will explore ideas that—when society has been willing to pursue them—have helped form the foundation of modern life. You'll interpret the term "scientific idea" broadly, so as to include ideas that made science possible at all, as well as ideas that make science immensely powerful. You will discover there is no sharp distinction between ideas that are classified as scientific and those that are classified as philosophical or mathematical, or even between scientific ideas and political, religious, or aesthetic ideas. Alfred North Whitehead, for example, famously linked the emergence of modern science in the Christian West to the belief in a single, law-observing Creator of the universe. New ideas affect society in unpredictable ways. A perfect example is the evolution of the Internet from a modest U.S. Department of Defense-funded computer network project to a global technology that has transformed commerce, industry, politics, warfare, communication, education, entertainment, and research. We are still unfolding the unexpected and sometimes disturbing consequences of a few innovative ideas that enable computers in different locations to share information in real time, ideas that underlie the Internet's astonishing capabilities. What we do know is that science has changed our lives—but how it does so, and why it is able to do so, tells us as much about ourselves as it does about science. Moreover, as unpredictable as science may be, Professor Goldman argues that for 200 years now the interaction of science and technology with society has been the primary driver of social and cultural change, first in the West, then globally, and at an accelerating rate. During this period, social and personal values and relationships; social, political, and economic institutions; and cultural values and activities have changed and continue to change almost beyond anything our great-grandparents (or sometimes even parents) would recognize. What has transformed entire ways of life that had previously been entrenched for centuries or millennia? There are objects, of course—the telephone, automobile, airplane, television, computer—that appear to be causes of social change. But identifying these artifacts does not reach down to the causes of innovation itself, nor does it expose those features of the sociocultural infrastructure that enable innovations to become causes of social change. Artifacts, in spite of their high visibility, are symptoms of causes at work; they are not themselves causes. It is not only television, the automobile, or the Internet that have changed society. Instead, forces at work in society have caused television and automobiles and the Internet to take on the changing forms they take. One of these forces is ideas—new scientific ideas, originating in the past and subsequently internalized by society. These ideas have shaped both our social and cultural affairs and the lines along which society is most open to change. For instance, the notion that there are laws of nature seems to reflect a political idea. There can be no doubt that mathematical and aesthetic ideas were central to the 17th-century Scientific Revolution. Furthermore, distinguishing science and technology is fuzzy, too—especially since the late 19th century, when scientific knowledge and technological innovation began to be coupled systematically in industrial, academic, and government research laboratories. 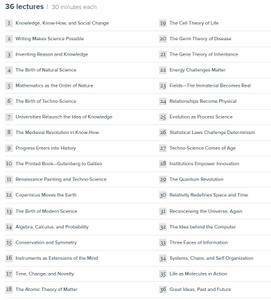 Each of Professor Goldman's 36 lectures highlights in a provocative way a single idea or development critical to the development of science in the West. 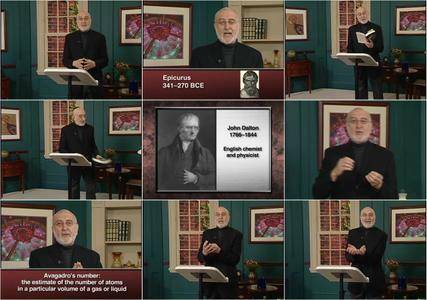 The lectures are broadly chronological, beginning with prescientific know-how and the invention of writing, and advancing through modern times all the way to the development of chaos theory. 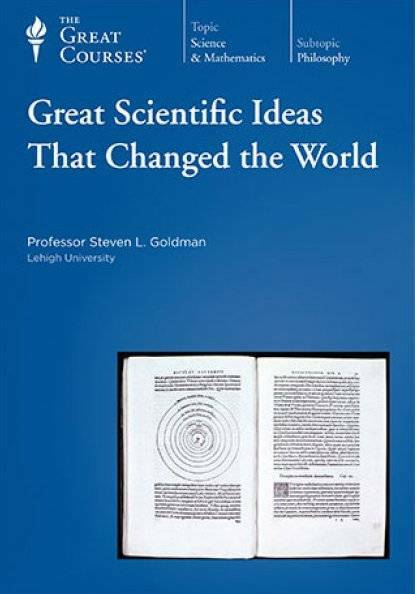 In each lecture, Professor Goldman looks at not only the content of an idea that is fundamental for science, but also how that idea arose and what its impact has been throughout the centuries. In the first third of the course, Professor Goldman engages in a sort of "reverse engineering" of what we mean by science today, identifying the origins of features that now seem essential for the existence of modern science. Lecture 1 begins by looking back at the already impressive prescientific skills and know-how humans had achieved by the 4th century B.C.E., and Lecture 2 discusses the invention of writing and the spread of writing systems and texts from 3500 B.C.E. to the beginning of Classical antiquity. The invention of writing may not seem a scientific idea at all. Yet there is a profound assumption underlying the invention of writing, whose controversial implications are reflected in Socrates's argument against writing, as recounted in Plato's dialogue Phaedrus. Writing is also a technology and serves as a shining example of how technologies embody ideas, even though we tend to ignore the ideas when our attention dwells only on what the technologies do, how they do it, or what the consequences have been. Between 500 B.C.E. and 300 B.C.E., Greek philosophers developed highly specific concepts of knowledge, reason, truth, nature, mathematics, logic, knowledge of nature, and the use of mathematics to describe nature—all in ways that continue to inform the practice of science to the present day. 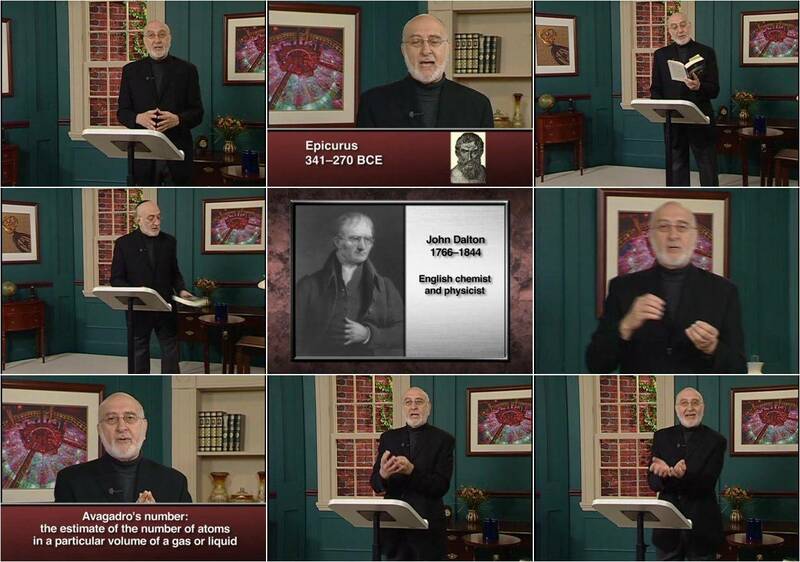 Lectures 3–5 are devoted to these ideas and their legacies. Lecture 6 discusses the first appearance in Western history, perhaps in world history, of the idea of techno-science—technology derived from theoretical knowledge rather than from practical know-how. This was largely a Greek idea that was applied in the context of the rising Roman Empire, and the lecture describes selected Roman-era technologies that influenced modern science and engineering. The Renaissance ideas of progress, the printed book, and mathematics as the language of nature. All of these ideas are fundamental for science as we know it, and they are also fundamental for the rise of engineering and technological innovation. Lecture 12 discusses Copernicus's idea of a moving Earth, the cultural consequences of that idea, and its subsequent evolution into an astronomical theory. Copernicus himself was wrong about a great deal—for example, planets move in orbits that are elliptical, not circular—but his idea helped clear the way for the foundational ideas of modern science that you'll explore in Lectures 13–17. Among these are the idea of method, mathematical ideas such as algebra and calculus, ideas of conservation and symmetry, the creation of instruments that extend the mind and not only our senses. All together, these ideas created a new conception of knowledge of nature. Time is an active dimension of reality and not merely a passive measure of change. A chemical atom is an expression of a generic idea of fundamental units with fixed properties out of which nature is composed. The cell theory of life, the germ theory of disease, and the gene theory of inheritance, can all been seen as conceptually allied to the atom idea—to the powerful notion that natural phenomena can be analyzed in terms of fundamental building blocks. Energy, immaterial force fields, and relationships offer a contrasting, yet equally powerful, conception of processes as the most elementary features of nature. Science can be allied systematically with technology—knowing with doing—to synthesize a new world. Evolution epitomizes a process-oriented approach to science and can be extended from biology to scientific thinking generally. Natural phenomena have a fundamentally probabilistic and statistical character. New social institutions can play a pivotal role in science's ability to transform the world. Lectures 29–35 discuss increasingly sophisticated scientific ideas of the 20th century, including relativity, quantum theory, the expanding universe, computer science, information theory, molecular biology; as well as the idea of systems, especially chaotic systems and self-organizing systems, plus the related ideas of ecology. 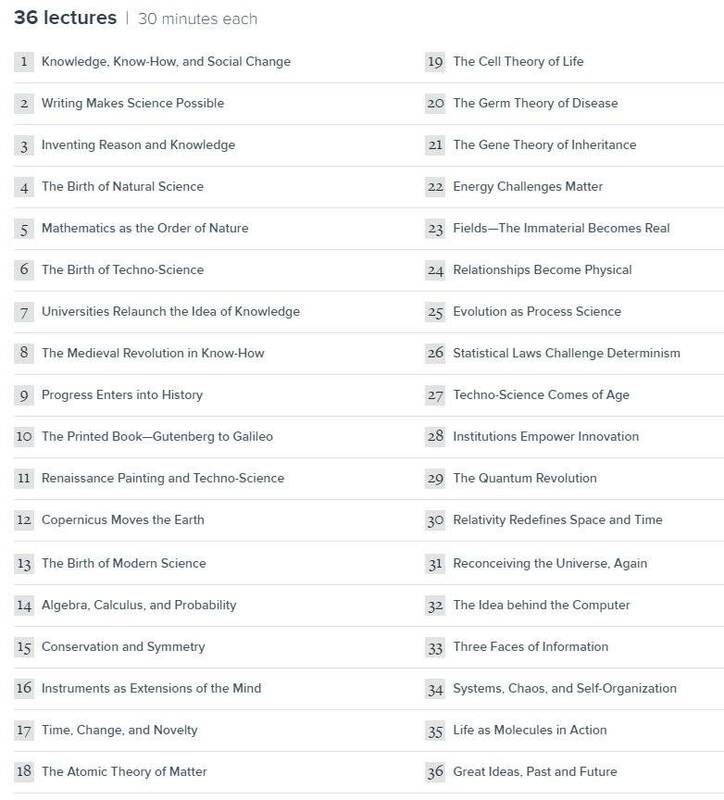 Lecture 36 concludes by reviewing today's ideas about science and technology in upcoming fields such as cognitive neuroscience, bio- and nanotechnology, and physicists' search for a Theory of Everything, and considers ideas, and their likely roles as motivators of future change.